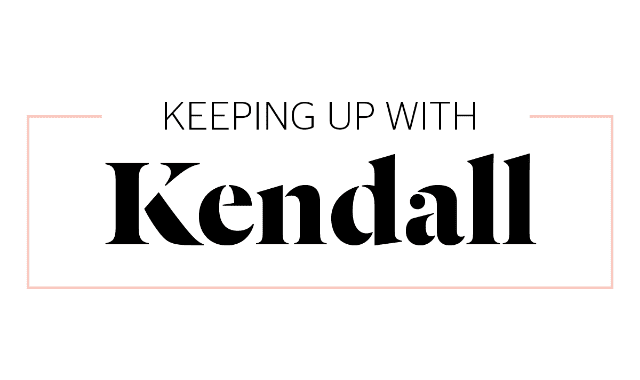 Keeping Up With Kendall #Infographic ~ Visualistan '+g+"
So you think you know Kendall Jenner? Supermodel, TV personality, style icon...there are lots of words to sum up Kendall Jenner but perhaps the best is just 'all round cool girl'. Really is there anything she can't do?! From being a Vogue cover girl, the face of Estee Lauder, Balmain muse and Victoria's Secret Angel, keeping up with Kendall is hard to do! So in honour of her milestone 21st birthday we've looked back at her biggest achievements and compiled them into this mind boggling quiz, so...how well do you know Kendall? Try it out for yourself. Her Career - Kendall was born on November 3rd 1995 into the most talked about family in the world. From an early age she knew she wanted to be a model but struggled to be taken seriously. 2015 was undoubtedly Jenner's year as she fulfilled her lifelong dream of becoming a Victoria's Secret Angel and was on the cover of American Vogue in August 2015. In the same year she harnessed her personal 'brand' and name buy launching her subscription only app and her clothing line with her sister Kylie which debuted in Topshop.